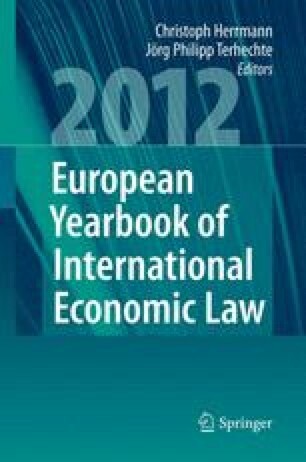 International energy law and international investment law share much of a common history: Some of the first expropriation cases which were adjudicated by arbitration tribunals on the basis of international law concerned the expropriation of foreign investments relating to the production of oil. Tensions and disputes between energy investors and host state governments continued to remain on the agenda of investment arbitration tribunals throughout the decades and form a prominent part of the case law of these judicial bodies. More than a third of all investment disputes adjudicated under ICSID can be classified as energy-related disputes. I would like to thank Franceso Costamagna and Rhea Hoffmann for very helpful comments. Unless noted otherwise all decisions of investment arbitration tribunals cited in this contribution are available from the website of the International Centre for Settlement of Investment Disputes (ICSID) at http://icsid.worldbank.org/ICSID/Index.jsp or from the website Investment Treaty Arbitration at http://ita.law.uvic.ca.